There are benefits for spouses and dependents. There are dozens of resources available to assist you with everything from housing to medical care. Steps for getting benefits and enrolling in college. Find out how much funding you can receive. You may be able to earn work study funds while in school. SCC campus: Call 509-533-7027 or 509-533-7274. If you are in Colville, Inchelium, Newport or Republic, call 509-279-6740. Email Deana Sleep, SCC school certifying official at deana.sleep@scc.spokane.edu. 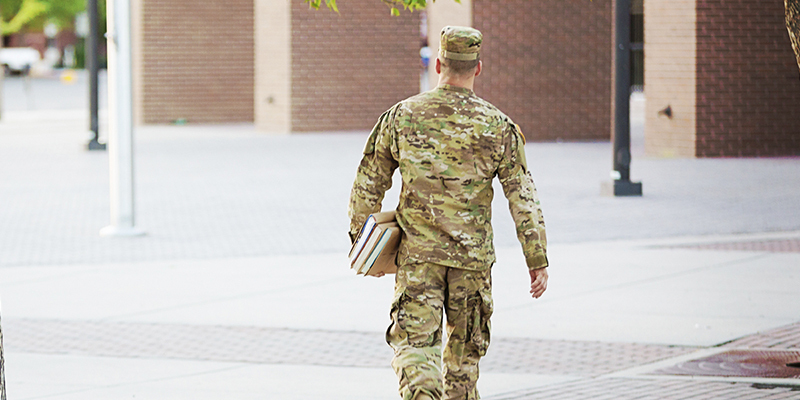 SCC’s Veterans One-Stop offers services to military veterans and their families including, education benefits and other resource information, a veteran lounge, study area, computers and Common Access Card (CAC) readers. We're proud of our Americorps/Vet Corps students and our designation as a Military Friendly school. Learn more about both here.